Sweet summertime. Fairbanks is the perfect place to enjoy an über fun natural phenomenon: 24-hours of light and the summer solstice. Annual solstice events include, but are not limited to, the Midnight Sun Baseball Game, the Midnight Sun Run and the Midnight Sun Festival. See details about these four events below and find a complete round-up of solstice-week events for all ages and budget at the end of the blog! 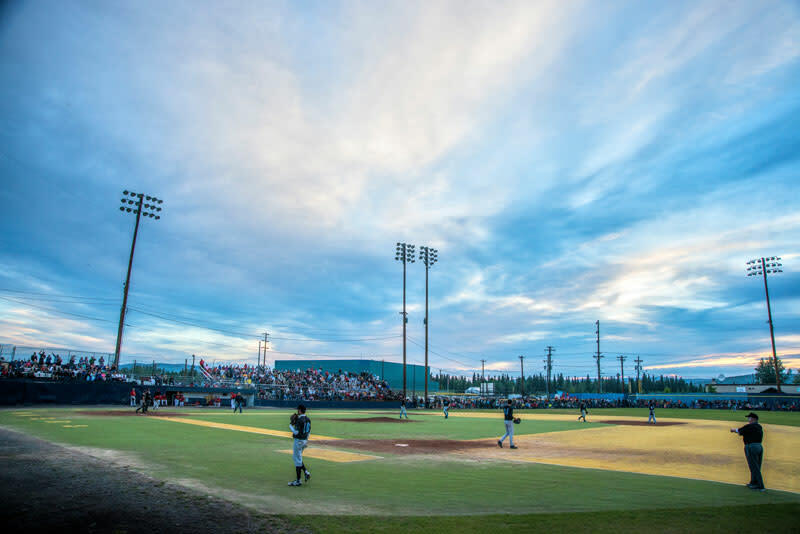 The Midnight Sun Game tradition dates back to the earliest days of Fairbanks, Alaska. For 113 years now, on the longest day of the year, Fairbanks flocks to Growden Park to celebrate summer with the playing of this annual game. This year, the Alaska Goldpanners take on the Orange County Surf in a game that will pack the stands and continue through the midnight hour without ever using artificial lights. It&apos;s a game that has attracted national attention and spectators from all over the world. You&apos;ll understand why when leaving the stadium a mere three hours after the first pitch, as the sun begins to rise again in the already light sky, it&apos;s truly an event not to be missed. Don&apos;t wait! Get tickets here. The Midnight Sun Run in its 37th year is a quirky community event and is not your typical 10K. 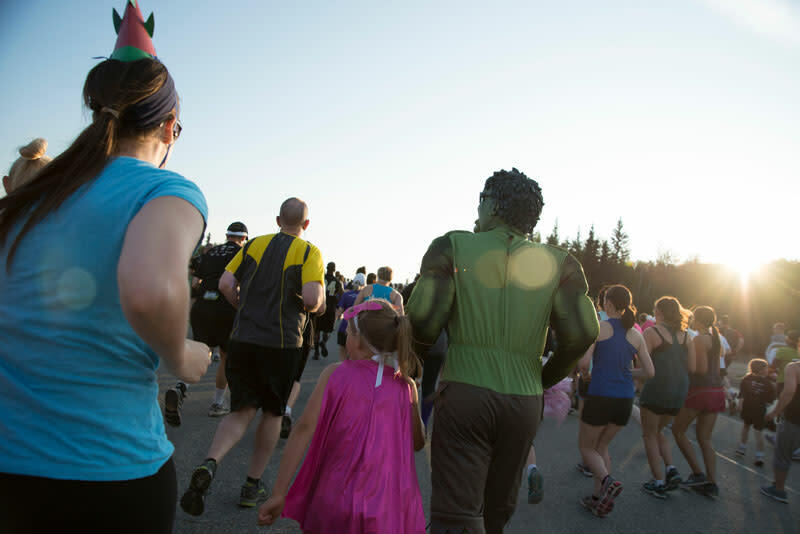 The festive event is uniquely Alaskan and attracts more than 3,500 participants some of which wear costumes! The race course starts at the University of Alaska Fairbanks and ends at Pioneer Park while meandering through a number of Fairbanks neighborhoods, where spectators often throw houses parties and line-up elbow to elbow to cheer on costumed, and non-costumed, participants of all ages. In 2018, there were registered runners from 40 states and 6 countries! Sponsored by the Fairbanks Daily News-Miner. All proceeds benefit the Fairbanks Resource Agency which offers programs for children and adults with disabilities. The annual Midnight Sun Festival is one big community celebration of the summer sun. It&apos;s Alaska’s largest single-day event, where 1st, 2nd, 3rd and 4th avenues become pedestrian only and a huge street fair party comes to life. 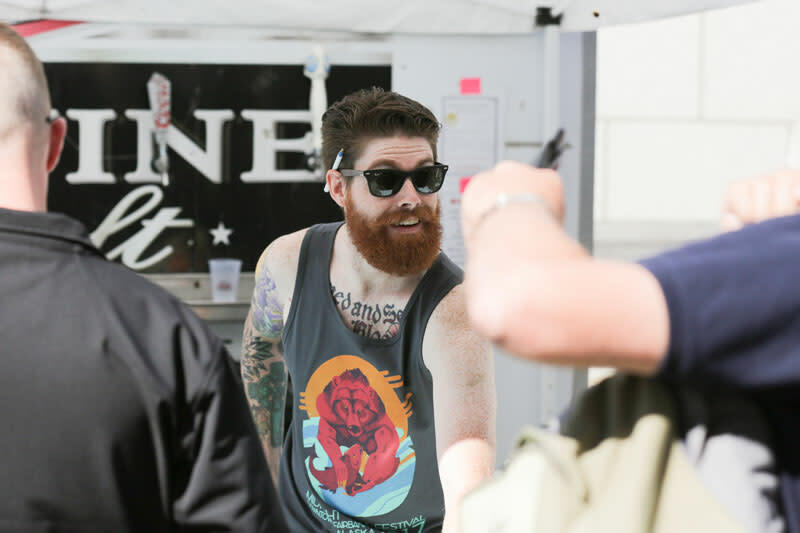 The free 12-hour festival is marked by 30,000 attendees perusing over 200 exhibitors offering Alaskan merchandise like Arctic Pup Dog Gear, Mountains and Mermaids, Salmon Sisters and the Fiery Arts Studio as well as delicious food including Hungry Robot, the Pretzel Chef, the Alaska Soda Jerk, and multiple beer gardens! There is also entertainment on four stages offering an incredible 45 live performances throughout the day. 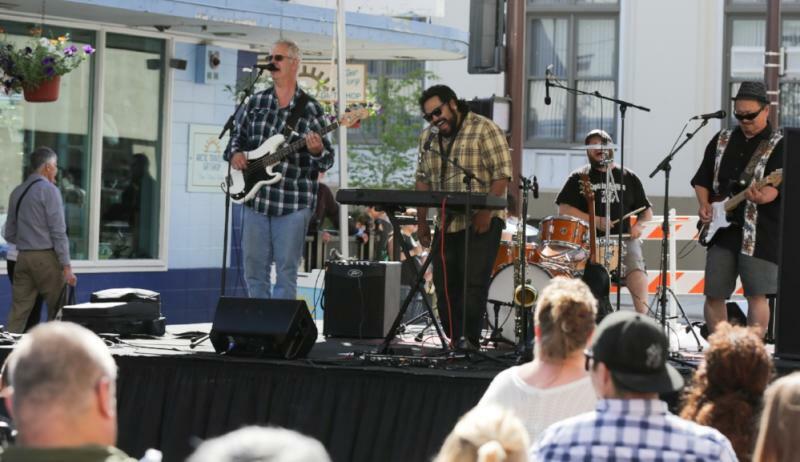 From steel drums to folk and from rap to a capella, most musical genres are represented featuring local artists like Emily Anderson, Alaska Redd and Cold Steel. Performances include the Fairbanks North Star Ballet, Golden Heart Performing Arts and the Fairbanks Ladies of Wrestling. Community informational vendors will be there and fun activities like laser tag, pony rides, a climbing wall...and more! So many things to do under the midnight sun! Here’s what events happened in 2018 during summer solstice. We will update this list with 2019 dates as they become available. 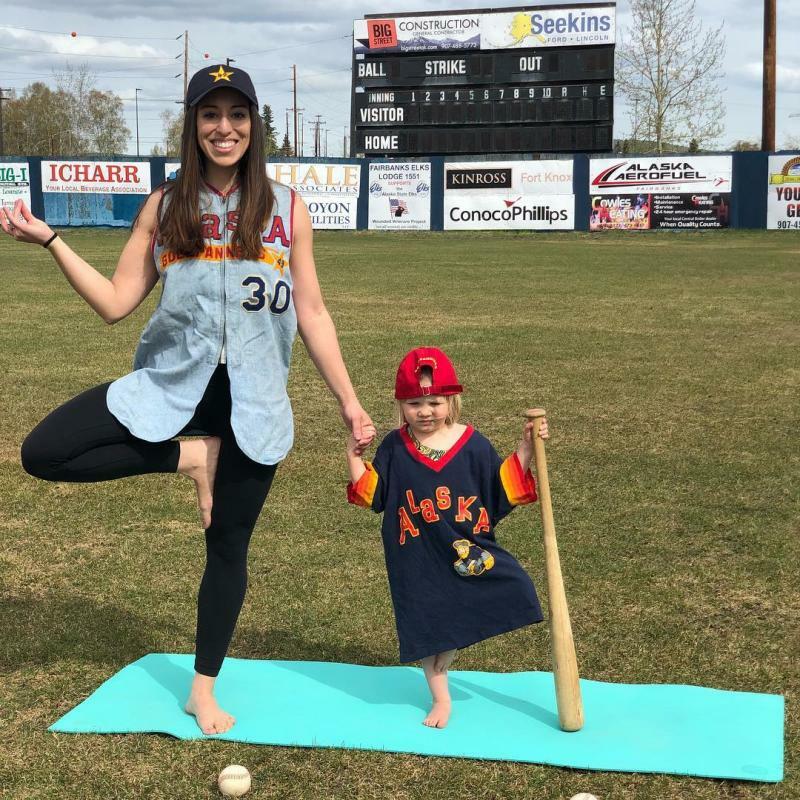 Yoga lovers take the field before the Goldpanners game that night to get their flow on. $10 gets you yoga and admission to watch the ‘Panners play in their first series of the season at 7:00pm! Find more info and sign up at the Trax Yoga website. 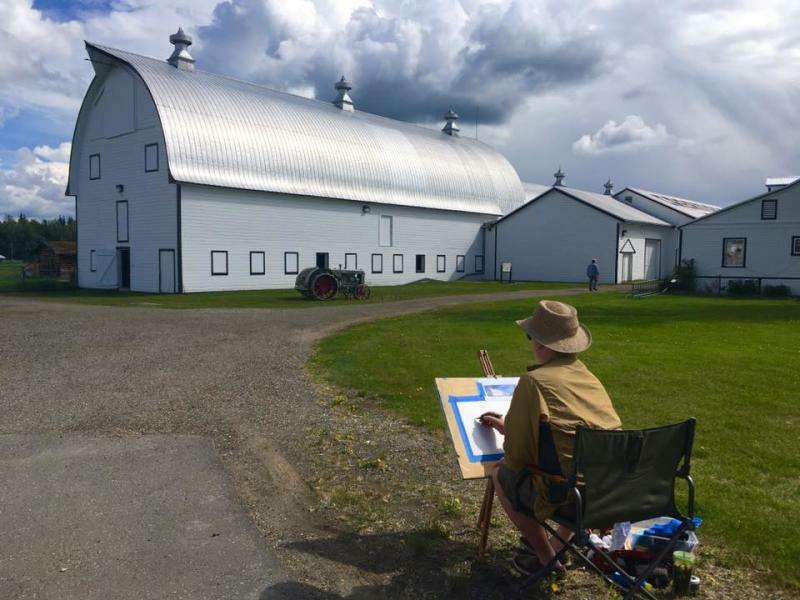 Kick off solstice with the 13th annual Wild Arts Walk and spend the afternoon enjoying art and nature on the trails of Creamer’s Field Wildlife Refuge. Over 30 local artists will be showcasing and selling art of all kinds. You will find one-of-a-kind paintings, birch bark creations, pottery, photography and more. The centerpiece of the Wild Arts Walk is the exciting Quick Art session that takes place from 1:30 - 2:30pm where the artists create works of art which are auctioned off immediately afterward. $5 admission. Sponsored by Design Alaska, Friends of Creamer’s Field, Fairbanks Children’s Museum and Subway of Alaska. All proceeds support Friends of Creamer’s Field Educational Programs and wonderful local artists. 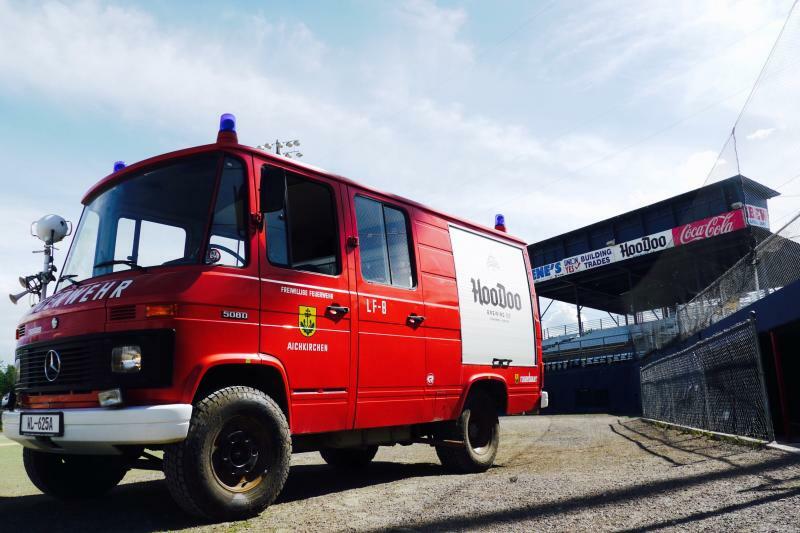 HooDoo Brewing Co. is closed on Mondays, so they&apos;re taking their Biergarten on the road to Goldpanners Field. Enjoy fresh, local craft beer while you watch our hometown team take on the Orange County Surf. Your ticket entry even gets you a free HooDoo Kazoo! Put on by the Downtown Association of Fairbanks, on every third Thursday of the month, streets are blocked off to make room for the Downtown Block Party. Enjoy local vendors and performances for some family-friendly fun downtown! Learn more at their Facebook page. The wildly popular (and free!) 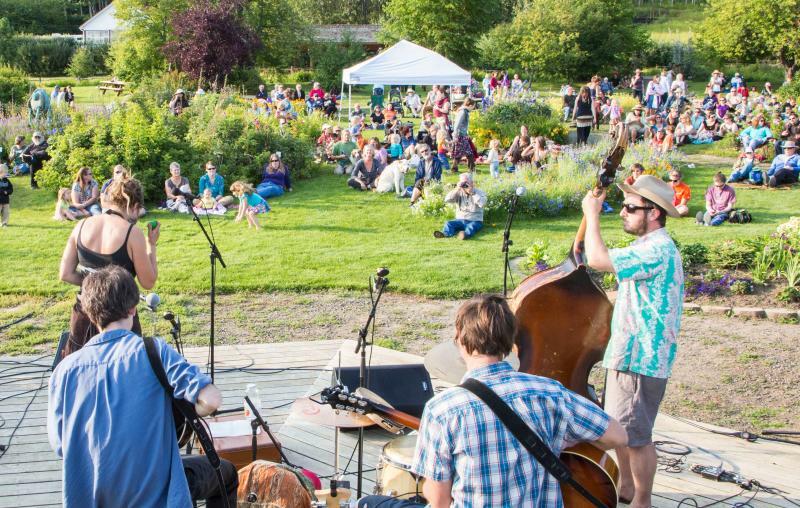 Music in the Garden concert series, which takes place at the beautiful Georgeson Botanical Gardens on the University of Alaska Fairbanks campus every Thursday during the summer. Bring a picnic dinner, a lawn chair and enjoy the toe-tapping musical talent of the Rock Bottom Stompers. Brought to you by UAF Summer Sessions. In addition to the 113th W.G. & Eddie Stroecker Midnight Sun Game Midnight Sun Game (see more info above), The Alaska Goldpanners, Major League Baseball and Play Ball will join forces with PONY, the American Legion, USA Baseball and USA Softball to present 24 Hours of Baseball beginning at 12:01am on June 21. Click here for information about the schedule and you can read more about that neat partnership here. In Denali during solstice weekend? Check out the annually awesome Solstice Brewfest at 49th State Brewing Co. This year, national act Cut Copy and friends will perform. For more info and tickets, click here. Photo: 49th State Brewing Co.
With all proceeds benefiting the Fairbanks Rescue Mission and 30 bands across 2 stages, the annual Foodstock is always a foot-stomping good time. 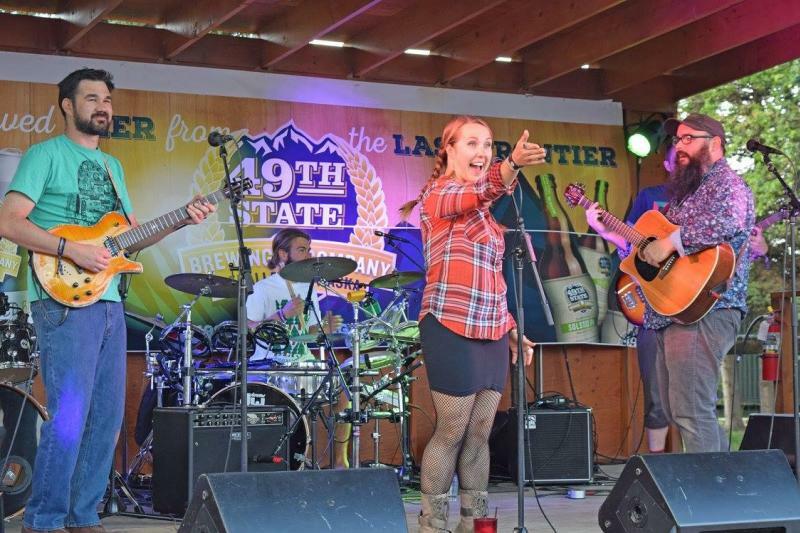 This rustic music festival is located in Fox, Alaska just eight miles north of Fairbanks at the iconic Howling Dog bar, (across the street from Silver Gulch Brewing & Bottling Co. – bonus!). Admission is $5 or 5 cans of food. A Fairbanks tradition in its 36th running, the annual event welcomes visitors from all over the world to run, jog or walk! See more information above and register here. 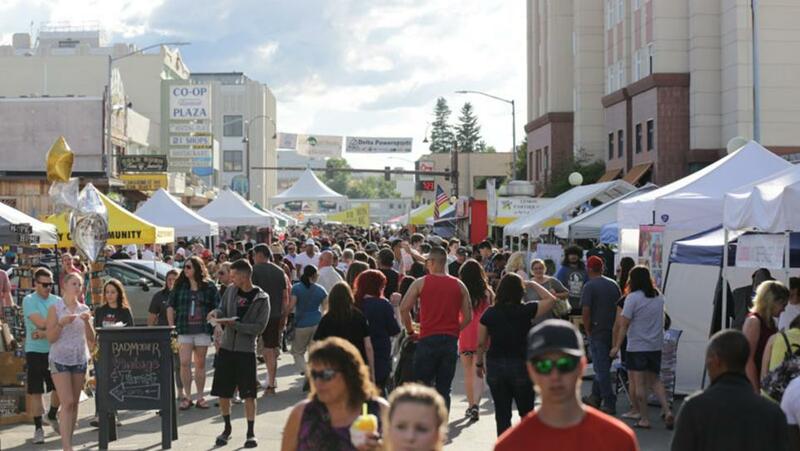 Alaska’s most anticipated and largest street fair happens every year in Fairbanks. See more information above and join the fun! Be sure to not miss out on anything Interior Alaska has to offer. The Explore Fairbanks community events calendar is always being updated with things to do and experience - not only during summer solstice but also in winter, too! Want to plan on joining the fun next year? Request or view one of our visitors guides and start dreaming of experiencing the fun of the midnight sun!